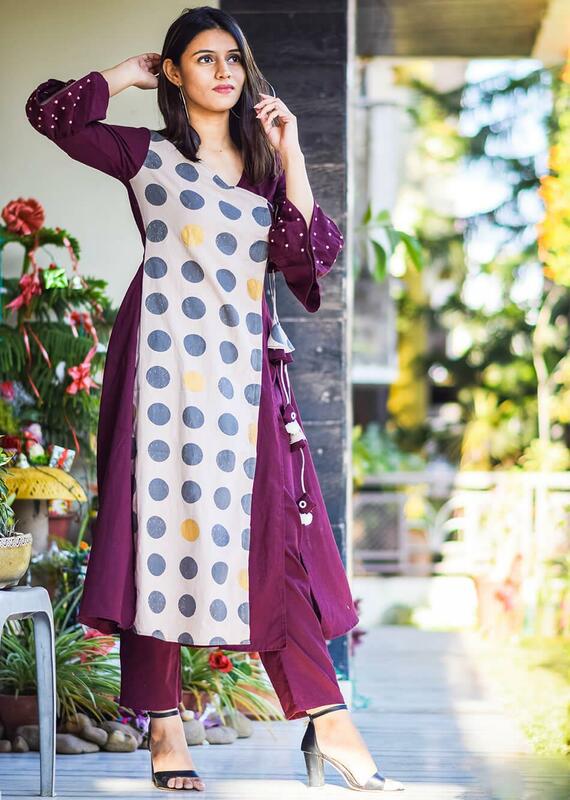 Bet, you can’t resist this complete set of kurta pant and dupatta. 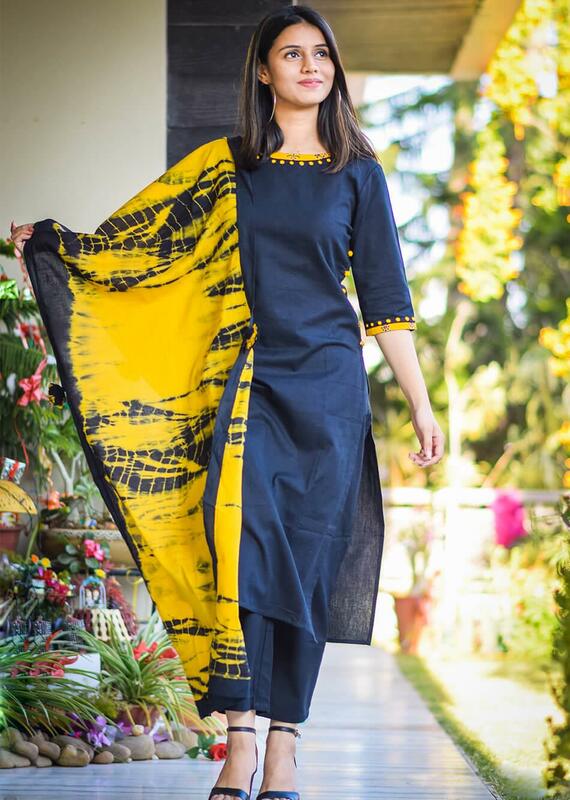 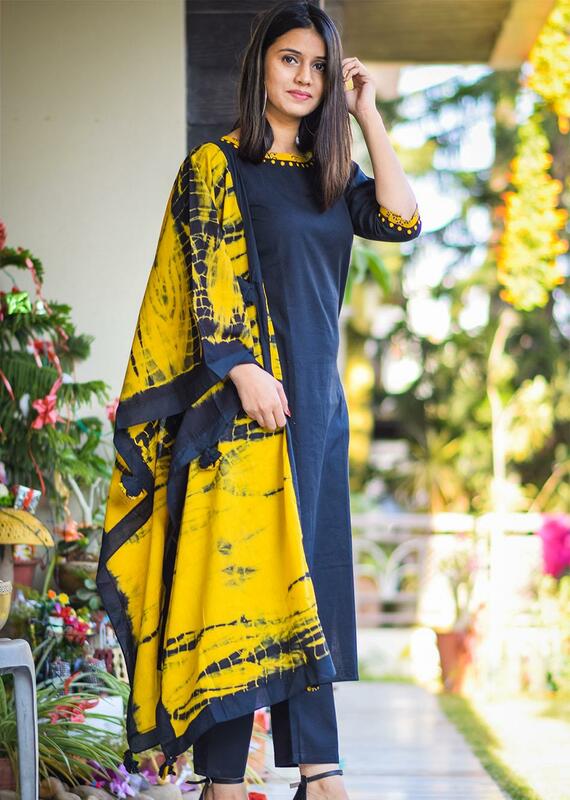 Meticulously designed and beautifully stitched, this Embroidered candor-black and yellow outfit is sure to win lots of hearts. 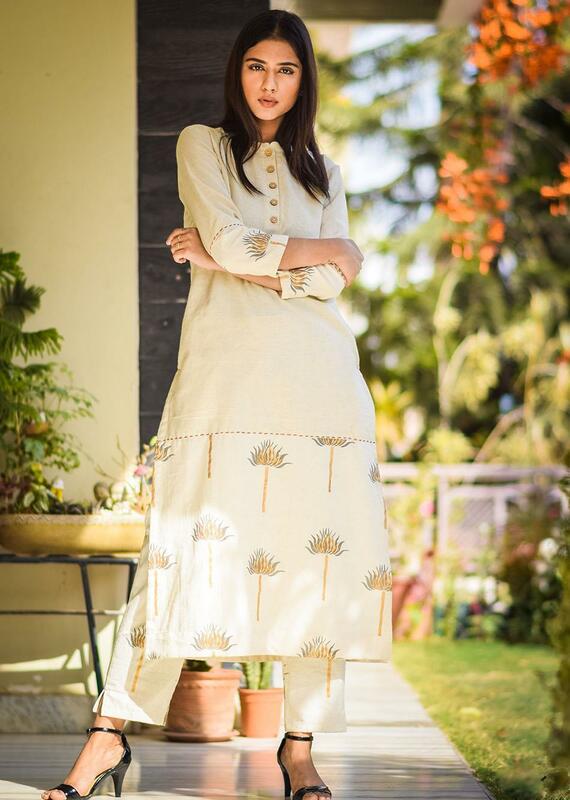 The colour combination is apt, and the fabric, flax and cotton is super easy. 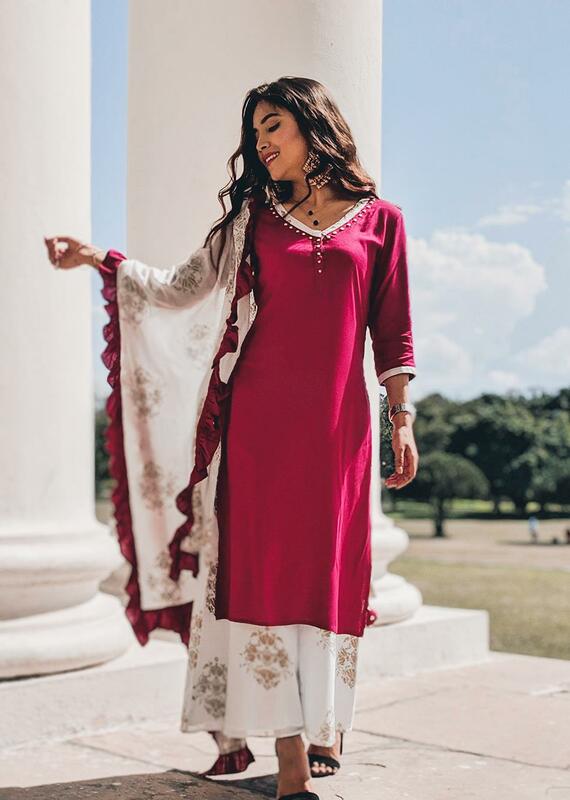 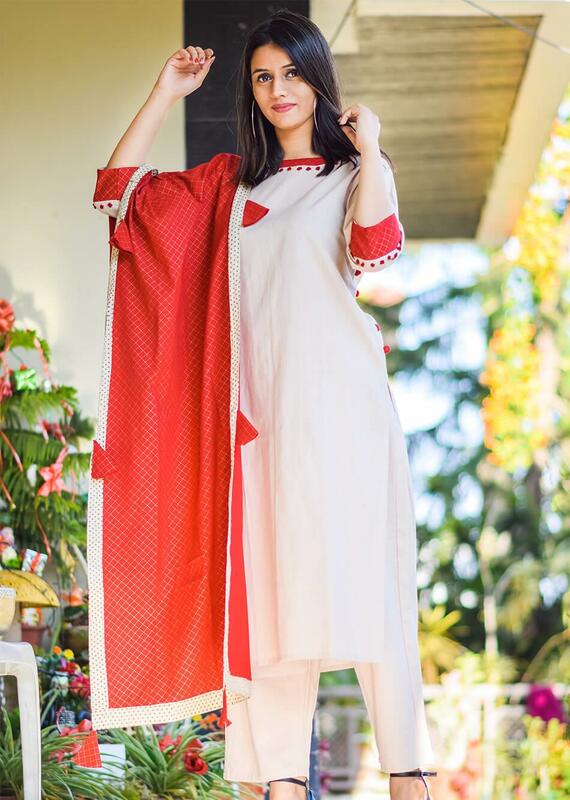 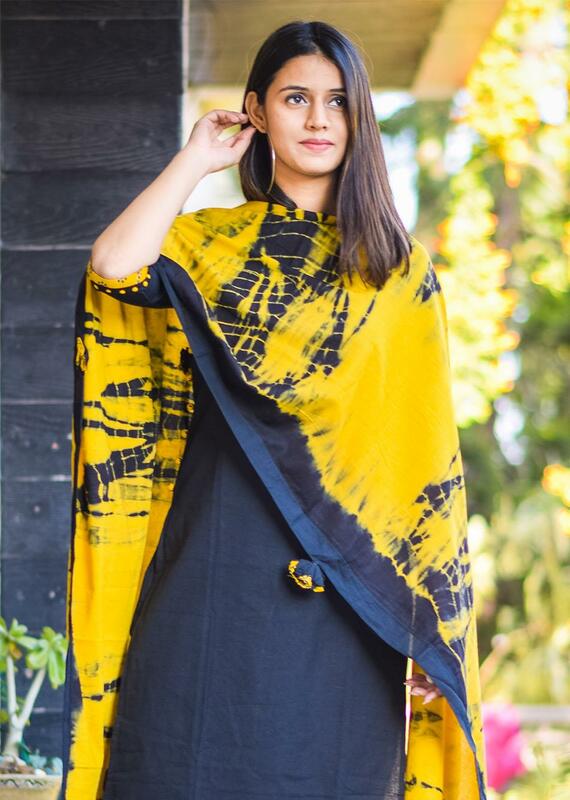 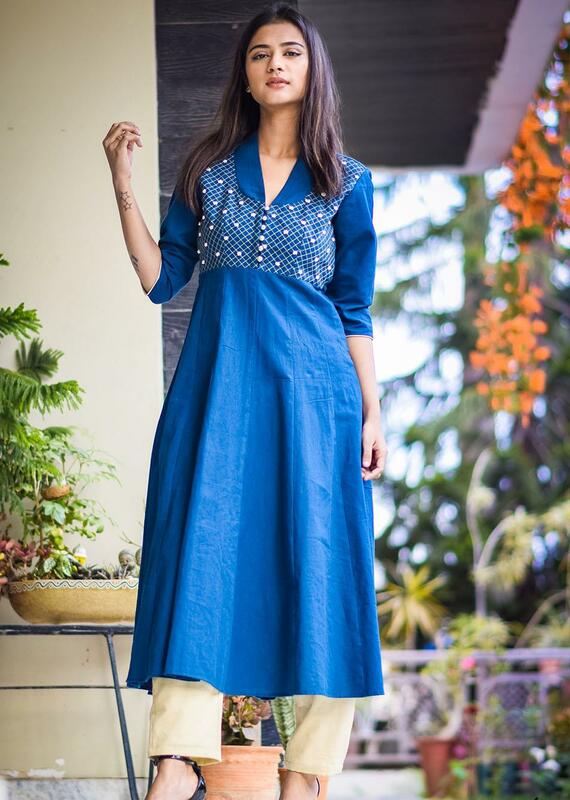 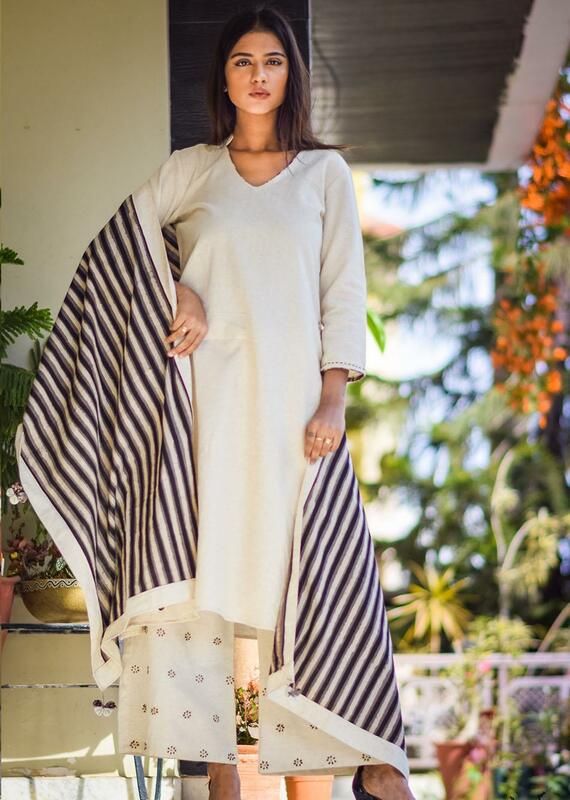 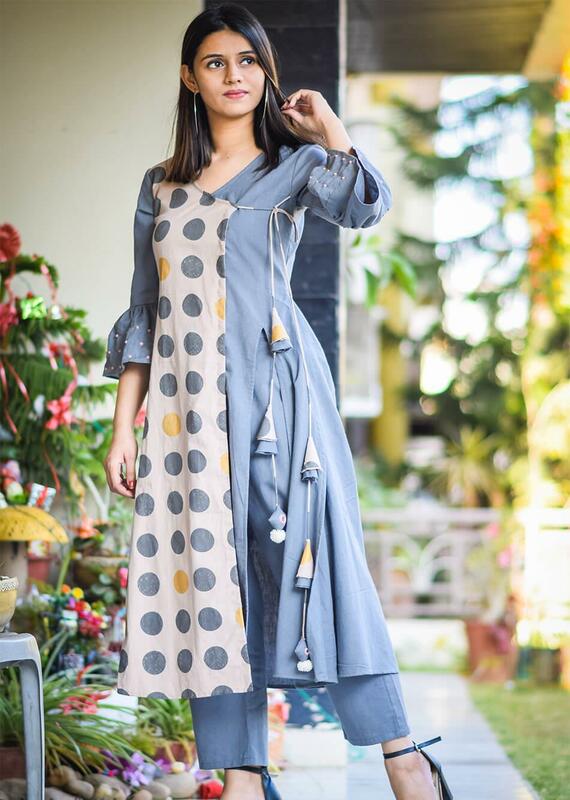 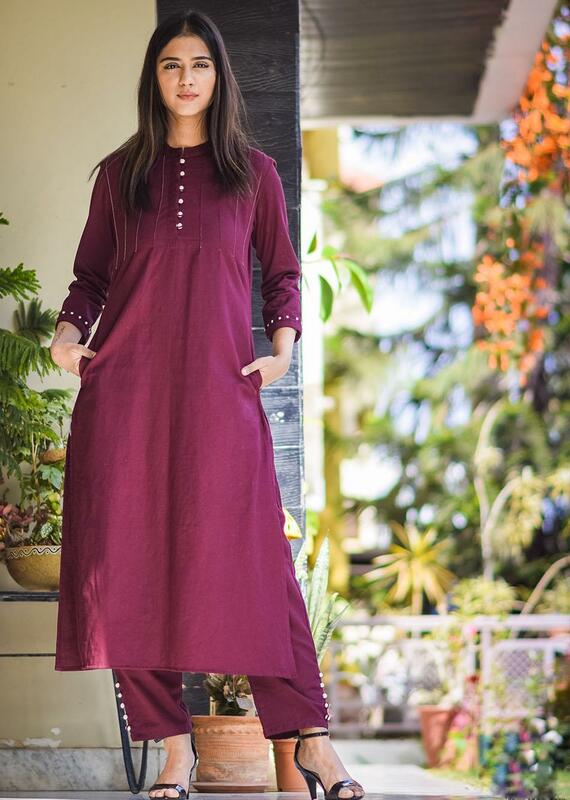 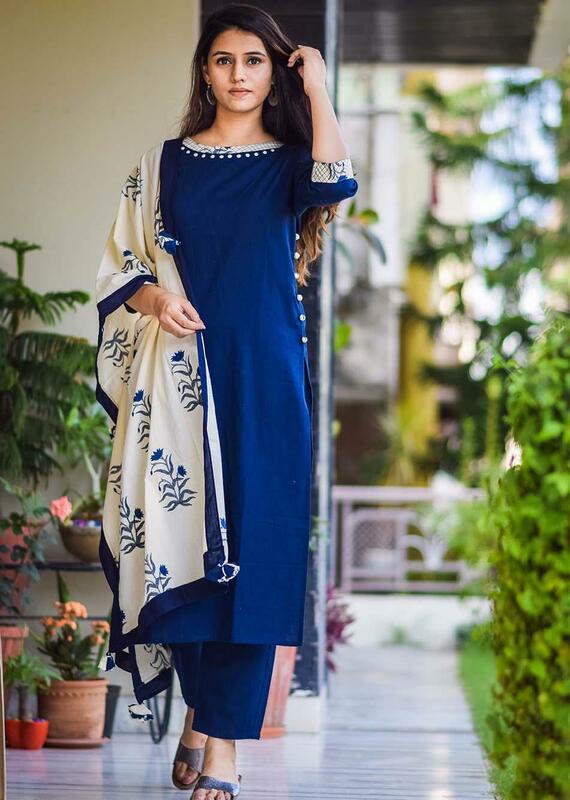 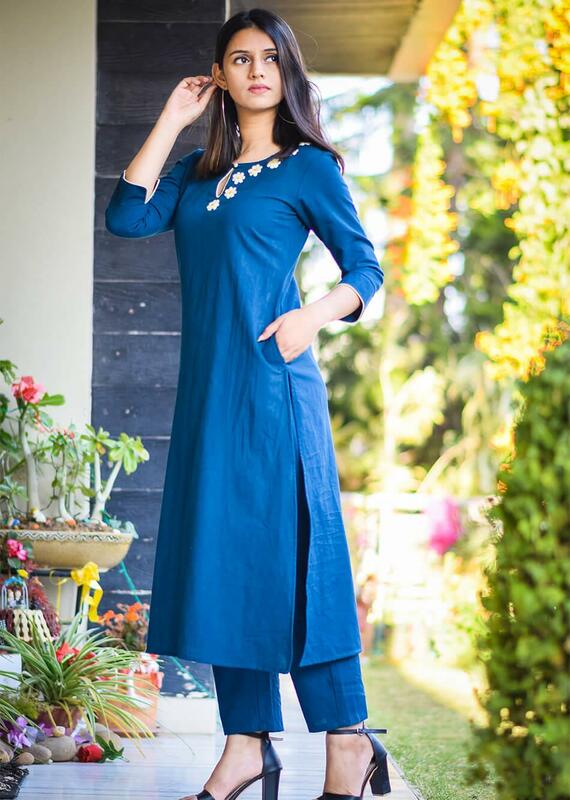 The kurta has classic round neck, three-fourth sleeves and length till calves, the pants are straight, and the thing that does wonder to it is the shibori dupatta.